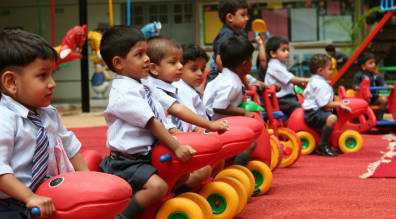 Games and sports form an integral part of the school curriculum for which a wide range of facilities are available. Students are encouraged to participate in athletics, football, hockey, cricket, basketball, table tennis, badminton, chess, throw ball etc.. The school has created infrastructure that allow students to play a wide variety of sports – from team games like throw ball and basketball to individual sports like chess, from outdoor games like cricket to indoor games like basketball. 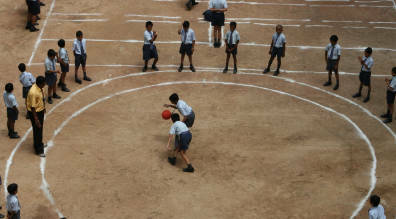 While some of these sports are played at the inter-school level, other sports are played at the intra-school level. The school has also made comprehensive arrangements for a large number of adventure sports like trekking, rock climbing and mountaineering outside the school. The school formally recognises the importance of sport in the growth of an individual by showering deserving sportspersons with awards and by holding an annual sports event which recognises the sporting achievement of school students.